One of the great stories that buttresses the myth of the ‘Dark Ages’ is the ‘loss’ of Aristotle in western Europe until he was kindly delivered back to us hopeless barbarians by learned, sophisticated Muslims at some point in the early days of the ‘High’ or (better, if you ask me) ‘Central’ Middle Ages. Nonetheless, in the ferment of ideas that was Islamic Spain, the Syriac-based Arabic translations of Aristotle had created a number of Muslim interpreters of Aristotle, and they along with Aristotle himself began to be translated into Latin in the twelfth century along with various other scientific/philosophical texts of antiquity. As well, some Aristotle comes to the West straight from Constantinople’s mouth — that is, in translation straight from the Greek by the likes of James of Venice. One of the more colourful characters of this period was Peter Abelard (1079-1142), an Aristotelian who sought to integrate the learning and method of philosophy with the study of theology. This, and his love affair with one of his students (Heloise; their son was Astrolabe), made him not entirely popular with the authorities of the day, but many of his varied writings survive to this day for the interested reader. 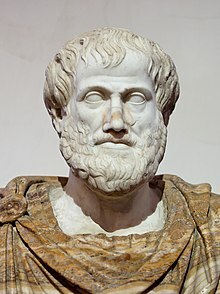 In the next century, the Latin Aristotle was made properly complete with translations and revisions from the Greek by William of Moerbeke (1215-1286). Because of the similarities in grammar and syntax between Latin and Greek being more extensive than between Greek and Syriac or Arabic, and because William was a very careful and systematic translator, the new Latin Aristotle was closer to the Greek Aristotle than ever before. The thirteenth century thus saw a new Aristotelianism in the works of Albertus Magnus (1200-1280) and, arguably the greatest (or at least most famous) Aristotelian of all time, Thomas Aquinas (1225-1274). Aristotle and Aristotelian philosophy are thus highly mediaeval creatures, not children of the Renaissance. Indeed, they are a product of the period in which we see many of those most stereotypically mediaeval cultural traits abounding — tournaments, Corpus Christi celebrations, transubstantiation, mendicant friars (Franciscans and Dominicans), female mystics, ‘Crusades’, courtly love, Arthurian romances, the Inquisition, Robin Hood and other suchlike things. In fact, I would argue that it was not the rediscovery of Greek and Latin poetry and philosophy at all but a new attitude towards these treasures that marks the humanists of the Renaissance such as Petrarch or Pico della Mirandola. Many of the ideas and texts we associate with the Renaissance were abroad in the Middle Ages, in Aristotle’s interpreters, in Boethius, in Isidore of Seville, in Augustine, in Plato, in Plato’s commentator’s, in the surviving manuscripts of the poets and of Cicero, Quintilian, etc. What was born in the Renaissance was not a rediscovered Aristotle. And, although many ‘forgotten’ texts were rediscovered in the monasteries of Europe in the Later Middle Ages and Early Modern Era and then printed in precursors to critical editions, ancient philosophy was not reborn. The new humanism was more consciously focussed on the human aspect of philosophy, poetry, civilisation. 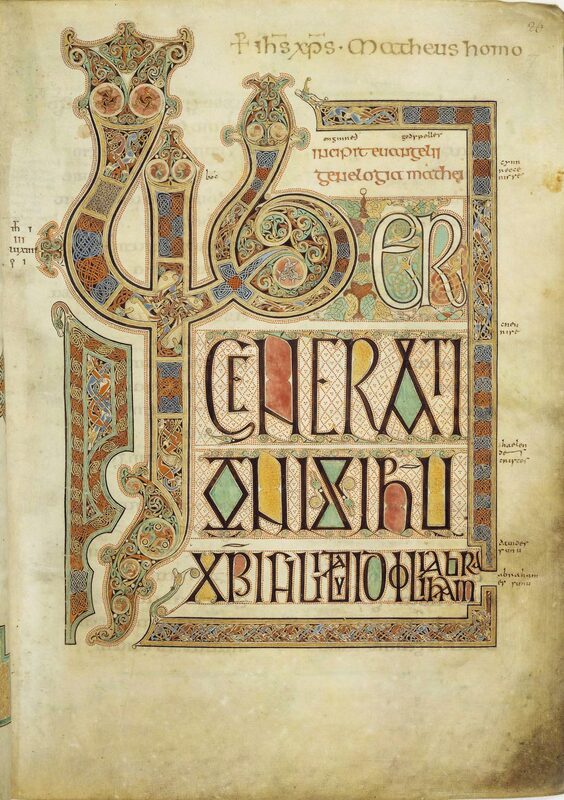 The mediaeval mind was thoroughly Christianised, trying to fit the ancients into Catholic categories and create a comprehensive worldview that took into account the secular learning of the ancients as well as the sacred learning of theology and revelation. The ancients were themselves deeply religious — Platonism, Stoicism, Epicureanism, were all religious systems as much as abstract philosophies. The ancient pagans, be they philosophers or poets, were not humanists but, very often, animists or polytheists or practical monotheists or pantheists or panentheists. They, too, had a thoroughly theological outlook. The new outlook of the Renaissance is not paganism rediscovered, but paganism reinterpreted. *Not in the Greek East, nor in the Syriac East. It is, in fact, from the Syriac translations of Aristotle (by Christians) that the Arabic were made. You can understand, then, why some western mediaeval interpreters of Aristotle, working with a Latin translation of an Arabic translation of a Syriac translation of a Greek original, may have missed the mark. **Nor was it the rediscovery of Lucretius, despite the claims of The Swerve by Greenblatt — see the Guardian’s review; if you want a look at Lucretius in the Early Modern period, try The Lucretian Renaissance by Passannante (2011) instead — see the Bryn Mawr Classical Review’s review. This entry was posted in Ancient World, Books, Christianity, Classics, Philosophy and tagged aristotelianism, aristotle, aristotle in the middle ages, peter abelard, the renaissance never happened, thomas aquinas on July 28, 2012 by MJH.